I can’t believe that there are books written by author Lisa Jewell that I haven’t read, because every time I pick one up to read, I can’t put it down. She’s that good. Then She Was Gone is no exception. 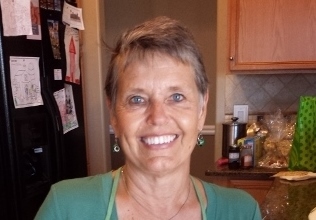 Laurel Mack’s 15-year-old daughter Ellie disappeared 10 years ago on her way to school. Laurel has been unable to get her life back into order following her disappearance. She is mentally unavailable for her other children and she and her husband eventually split up. One day at a coffee shop, Laurel meets Floyd, and the two hit it off. He is handsome, kind, and funny, and seems to be the perfect man with whom Laurel can get back into the saddle. Except, when she meets his 9-year-old terribly precocious daughter Poppy, Laurel is amazed to see that she looks exactly like Ellie. Nevertheless, the two become close, and Poppy grows to love Laurel. But is Floyd too clingy? And why-oh-why does Poppy look so much like her long-missing daughter? In typical fashion, Jewell doesn’t try to fool the reader. We know pretty early on who kidnapped Ellie. However, I dare the reader to figure out why,however. Jewell hands out the books’ secrets little by little, like candy on Halloween. 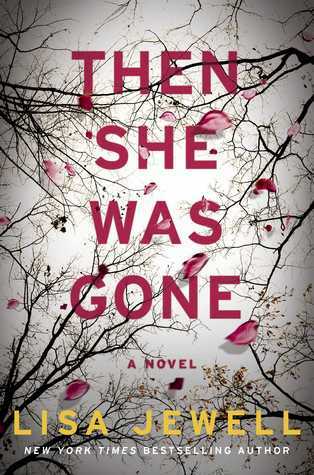 Then She Was Gone was creepy and suspenseful, with lots of curve balls. I found the ending to be satisfying, if not exactly what I’d hoped for. There are books in the popular thriller genre that capture the reader right from the get go and don’t let go. Two Girls Down, by Louisa Luna, (which I recently reviewed) was such a book. There are others that sneak up on you, sort of like Freddy Krueger hiding in the basement. 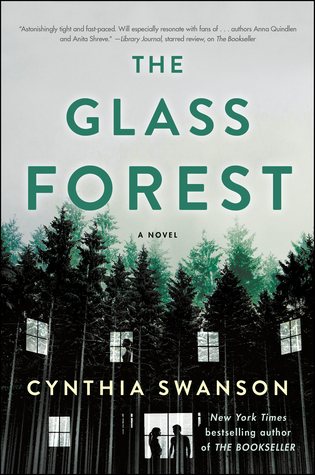 The Glass Forest, by Cynthia Swanson, started sloooooow, but once it grabbed me, I kept on reading to see what would happen next. It’s 1960, and 21-year-old Angie Glass is happily married to her husband Paul. They have the perfect life in a small town in Wisconsin, and have recently been blessed by the birth of a baby boy. One day, Angie answers the telephone. On the other line is Paul’s 17-year-old niece Ruby. She informs Angie that her father — Paul’s brother Henry — is dead, and that her mother Silja is missing. Angie and Paul rush to their home in upstate New York. Ruby has visions of helping a inconsolable teenager. Instead, upon their arrival, they find a mysterious and perfectly calm teenaged girl. As the story unfolds, we learn that neither Henry nor Paul are exactly who they appear to be. Through flashbacks of Ruby’s mother Silja, it becomes clear that Ruby doesn’t know her husband at all. The story unfolds slowly, and I found myself both intrigued and disturbed at the same time. But one thing was for certain; I was unable to stop reading in my desire to find out the truth, the whole truth and nothing but the truth. I found I had to keep reminding myself that the story took place in 1960, which was why Angie was so meek and submissive to her husband. Still, the end of the story surprises the reader with the strength of the three women — Angie, Silja, and Ruby. The Glass Forest was suitably creepy and readable. 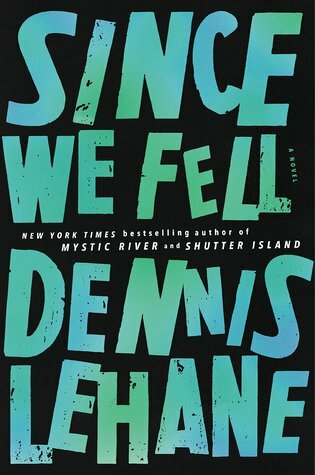 Author Dennis Lehane is a good story teller, particularly when it comes to character development. A number of his books have been made into movies – Shutter Island and Mystic River, both dark and interesting films. Since We Fell will likely be no exception. It seems to have been written to be made into a movie. Like many of Lehane’s central characters, Since We Fell’s protagonist Rachel Childs stayed with me long after I finished the book. She wasn’t exactly likeable, but she felt real to me and though I couldn’t quite relate to the dark side of her personality, the fact that she was multifaceted instead of one-dimensional was a plus. Childs’ never knew her father, and her mother wouldn’t tell her who it was. Her mother had long ago written a book about parenting that apparently earned her enough money to live on the rest of her life. And yet, she was probably one of the worst parents I’ve ever come across in a novel. She was selfish and manipulative and gave Rachel an entirely unstable childhood. The book is written almost like two separate novels. Rachel (who is a television journalist) spends the first half of the book trying to find her father. She is determined to find the man who her mother refuses to identify despite Rachel’s never-ending pleas. Rachel teeters on the edge of unstability, and after visiting Haiti in her role as a journalist, and witnessing poverty and violence like she’s never seen, she has an on-air breakdown, is subsequently fired, and spends the next few years not leaving her home. Her husband, himself a self-serving TV journalist, divorces her. She eventually reconnects with a man who has made brief appearances throughout the book, and responds to his kindness. They marry. Then the book gets complicated and Part 2 begins. I know. I know. Part 1 seems complicated enough! In looking at reviews, opinions range from I couldn’t put this book down to this convoluted story made for one of the worst books I’ve ever read. I fall somewhere in between, but lean to the can’t-put-the-book-down side. It’s true that much of the story is convoluted and demands that the reader suspend reality, but I just kept coming back to the characters. They were just so danged interesting. A review of this book is difficult to write without giving away the surprises, and the twists and turns are critical. 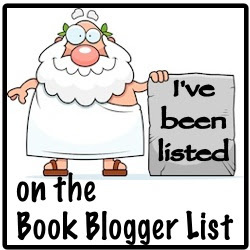 So you’ll just have to read Since We Fell yourself and see what you think.